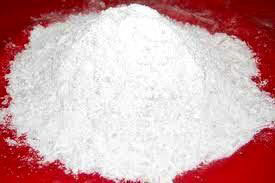 Our Silica Ramming Mass is processed from super snow white crystalline quartz having 99.90% silicon dioxide (SiO2). Silica Ramming Mass that we provide is manufactured under strict quality control. We offer premium Silica Ramming Mass that is calcined to eliminate the spalling tendency in a stabilized form. While silica neither expands nor contracts, it can easily withstand higher temperature of up to l720oC. The role of Silica Ramming Mass in melting of steel through induction furnace is very important. We have taken initiative to develop Silica Ramming Mass of high quality silica quartz having heavy density. © Copyright 2012. Abheek Hi-Tech Enterprises Pvt. Ltd.